The app’s 158 million daily users will soon be able to search for more than 1 million crowd-sourced Stories, a company spokeswoman told Business Insider. Facebook has relentlessly copied Snapchat’s Stories format, which shows photos and videos taken in chronological order that disappear after 24 hours, in recent months. Here’s how Snapchat’s new search feature works: The company will use machine learning to collect Stories together around certain events, themes or places, like sports games or puppies, from users that willingly submit photos and videos to the app’s “Our Story” feature. 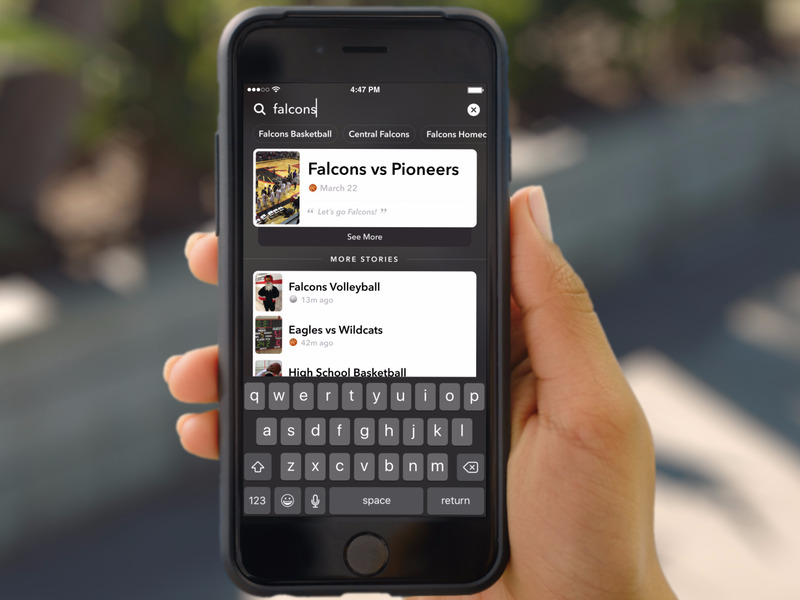 Snapchat’s human editors previously created crowdsourced Stories, and this is the first time that the app is letting its users search for Stories they want to watch. It’s unclear whether the company will continue to have its employees curate Stories. Becoming a search engine opens up new ad opportunities for Snapchat, which is competing in a fiercely competitive digital ad market dominated by Facebook and Google. Last year Snapchat paid $US114.5 million for Vurb, an app that let people find recommendations for things to do with friends.